Tuesday Mornings - While moms attend the Women's Ministry Bible Study on Tuesday mornings (9:30-11:30 a.m.) during the school year, child care is provided to children ages birth to five years old. 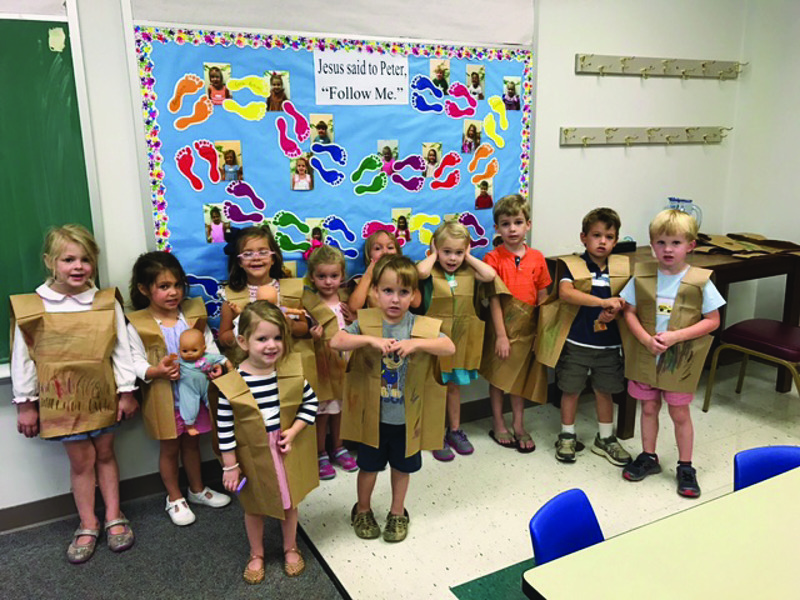 Children who are three (by September 1, 2015), four and five years old participate in the Tuesday Bible Study for Children. 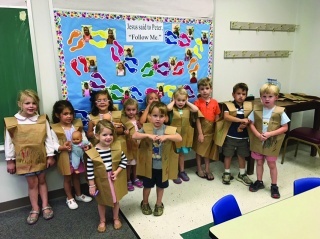 This is a special time for this age group when they are taught a Bible lesson; make a craft that reinforces the lesson; and enjoy music, a snack, and playtime. This ministry is led by five wonderful, dedicated member volunteers: Barbara Collins, Harriet Goshorn, Susan Muller, Louise Tayloe, and Judy Weatherly.